Anxiety. Big word. It can hit anyone, anytime, anywhere. It can affect millions of people especially those with panic attacks. It may come in many forms. It may occur regularly without any reasons, without any explanations. Anxiety. It may hit you! There are a lot of people who develop anxiety after eating something. It may be a very simple attack or at times it can be full blown. Knowing the reasons behind this will help you deal with and prevent it better. What Might Cause Anxiety After Meal? Oftentimes, this may be a sign of different issues occurring in the body. This, however, is not a widely understood issue. As a matter of fact, there is no much research conducted to address the issues involved with this kind of anxiety. But since several people already experience this, there were some statements behind it. This is most likely the culprit. And the anxiety may be related with the following problems. Chest pains. Foods can get lodged in the chest, leading to the feeling of being full and development of minor chest pains. Heart palpitations. Eating certain foods will trigger awareness in the heart, causing the feeling of skipped beat or even rapid heartbeat. Food coma. The big meals can slowdown of the body which will also lead to lightheadedness and fatigue. Indigestion. The condition may occur the moment you start eating and may progress, leading to several issues like bloating and discomfort. Others tend to have sensitivities to foods which may trigger the symptoms of anxiety. Many people considered the gut as the “second brain” since it offers a variety of nerve functions. This is probably the reason why some linked anxiety with the gut. A possible scenario is that something in the gut becomes activated during eating, which causes the mind to start experiencing anxiety. Anxiety may also be caused by experiences and environment. The situations that occur during eating may technically have a great effect, leading to symptoms of anxiety. The feelings, outlook, and perspective in life may greatly affect the anxiety condition. Some tend to be concern about their diet plan and their weight especially after eating. So they will become anxious after. Note: The reasons stated above are merely hypotheses and are not linked to any scientific explanations and research. There are still no clear causes of anxiety after eating. Whatever it is, this condition is not normal and tends to have a great effect on the person experiencing the condition. What Are the Foods that Can Trigger Anxiety? The foods eaten can greatly affect anxiety. These may not be the primary cause of this condition, yet they can still contribute to the severity and frequency of anxiety. Some of the foods that can make you feel totally anxious thus should be avoided include the following. Caffeine. Limit drinking coffee and other caffeinated beverages. These have a stimulant effect on the nervous system which can cause the release of the stress hormones known as cortisol. The hormone can trigger the fight or flight response of the body, making the condition more severe. Additionally, coffee will increase the serotonin levels in the body, which over time can cause the depletion of the neurotransmitter and nerve functions in the body. Diet Soda. Diet soda and energy drinks may increase the rate of anxiety. These drinks contain caffeine and artificial sweeteners such as aspartame which significantly reduces the serotonin levels in the brain. A study showed that aspartame worsened the conditions of people with depression and anxiety history, causing anxiety after eating. Beef Jerky. Beef jerky is almost categorized as a healthy snack, as long as it doesn’t contain high amounts of crappy additives. However, some brands are loaded with monosodium glutamate (MSG) which can increase the glutamate levels in the brain, thus increasing the rate of stress and anxiety. Non-Dairy Cream. 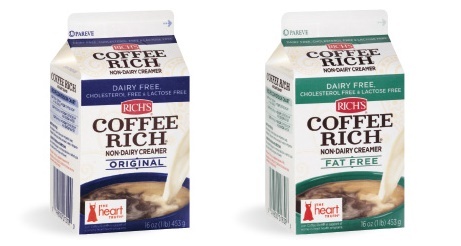 The conventional non-dairy creams are sources of hydrogenated oils or trans fats. This kind of fats is linked to the impaired blood flow in the brain, leading to issues pertaining to mental health including depression and anxiety. Pasta, Bread, and Doughnuts. Foods made with refined carbohydrates can change moods and cause rapid spikes and dips in the blood sugar level in the body. The increase in blood sugar levels can also increase the risk of depression, especially in women. Condiments. Condiments such as ketchup and salad dressings can be a source of high fructose corn syrup (HFCS). This is responsible for increasing the blood sugar in the body which may lead to increased consumptions, perpetual cravings, and weight gains. Alcohol. 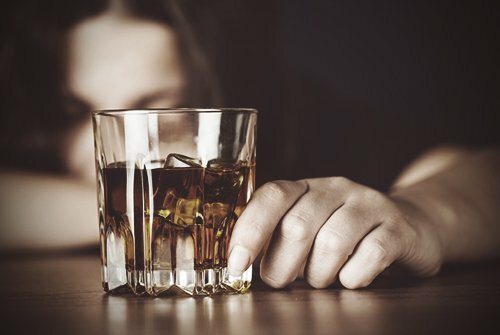 Alcohol may be a form of relief for anxious people. However, the mood boost of alcohol is just temporary and over time it can worsen the condition and lead to abuse. Alcohol is a depressant, thus messes with the functionig of the central nervous system. It can also cause drastic changes in the blood sugar in the body which can also induce anxiety and depression. Food Dyes. Food dyes and colorants are mostly found in sodas, dressings, fruit juices, and even cheese. These contain certain compounds that can disrupt the normal functioning of the nervous system, thus increasing the risk of anxiety.